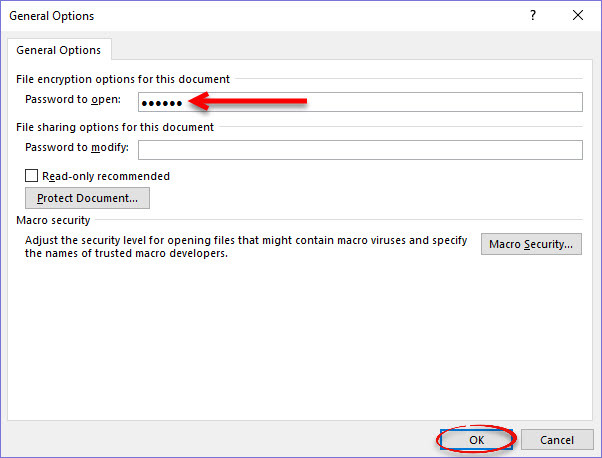 How to protect your Word document by requiring a password to open and/or modify the document. This process also works in Word 2013 & 2010. Step 1:Open the document to which you want to assign a password. Click the File tab and choose Save As. Step 3:Enter a password to open and/or modify the document and click OK. Step 4:Reenter the password(s) and click OK. It is critical that you do not forget this password as there is no "forgot password" option to be able to reset it. 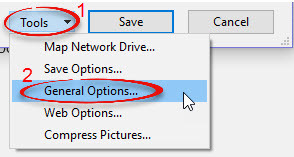 Step 5:Back on the Save As window, click Save.